Spacious 11th floor luxury condo has plenty of room for the family to spread out! Fabulous views of the east end of the Island. This property has three bedrooms, three full baths and three private balconies which makes it easy to enjoy both the indoors and the outdoors. It is furnished with ample seating in the living area, making it a great conversational space. There is even a private sitting area with surrounding curtains! 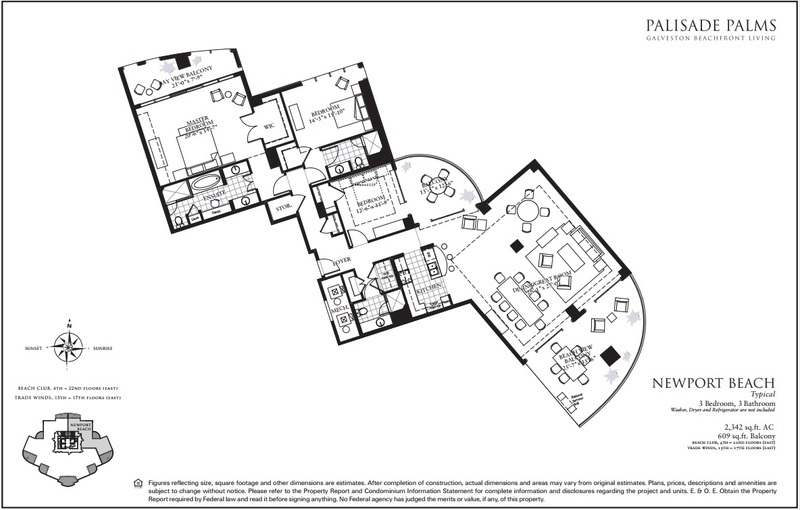 The open floor plan allows everyone to be included in the large open space. Enjoy a fully-equipped kitchen with stainless appliances, granite counter-tops and breakfast bar seating for two. The main dining area seats six and has views to both the beach and the bay. A secondary table seats 4 and has wonderful bay views. The grand master suite includes a king bed and sitting area with access to a private balcony. The huge en suite master bath includes a separate glass shower and large 6ft tub, dual sinks and also a vanity area. The second bedroom has a queen bed, unique corner window overlooking the bay and beach, and a set of twin-size bunk beds. The second bath is en suite has a walk-in shower. The third bedroom has a queen bed and a private balcony with great views. With this unit, everyone has a place to enjoy their beach vacation getaway! 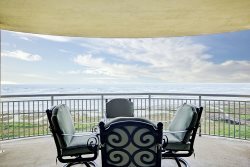 We thoroughly enjoyed our experience in this exceptionally well-equipped condo with its magnificent views from all three balconies. It was spotless and clearly well maintained. We enjoyed the relative quiet and lack of congestion of the East Beach location only a short drive from some wonderful restaurants! THE APARTMENT WAS REALLY NICE, IT HAD EVERYTHING YOU NEED. IS BIG AND IT WAS VERY CLEAN!